Devin and I gathered our thoughts on the role of pop culture going forward in an era when the truth is a lie, facts are fiction and Donald Trump is the president of the United States. Plus: It’s our 100th episode! Quite a milestone for us. Further reading: Alyssa Rosenberg on the importance of representation; Caroline Framke on Jimmy Fallon and Seth Meyers’ shows since the election; Todd VanDerWerff on the perils of overly simplistic pop culture criticism; Ira Madison III on Get Out; Mikael Wood on Lady Gaga. Devin and I are back in the same room for an episode that touches on the election but focuses on last night’s episode and this season of Saturday Night Live. We talked about our favorite and least favorite moments, reacted to the show’s hit-or-miss political commentary and made predictions about what’s to come. Oh, and there are some bleeps. PROGRAMMING NOTE: We’ve made a behind-the-scenes change. If you’re already subscribed to The M&M Report on iTunes or the podcast provider of your choice, you need to RE-SUBSCRIBE in order to receive new episodes in your feed. We know this extra step will be annoying, but we’re excited about what it means for the future of the podcast. Tell your friends! Assigning a value judgment like “good” or “great” or “best ever” or “worst in five years” to a season of Saturday Night Live is inevitably a fool’s errand. Each season is best understood through the lens of key sketches, breakout moments and overall trends. Below, I’ve listed a few of each from this post-anniversary season of America’s most astonishingly resilient TV show. And while you’re in an SNL mood, check out my Indiewire investigation into the show’s record of diversity in its hosting choices. On Sunday night, Stephen Colbert became the first host in the history of late-night TV to do a show immediately after the Super Bowl. That he and his team fumbled the gig should come as little surprise. The post-Super Bowl slot has been a mixed blessing of late. Ratings for whatever show follows the nation’s most-watched television event of each year inevitably spike on that Sunday night, but the bump for subsequent episodes is far less substantial, even non-existent. Creatively speaking, most Super Bowl episodes are burdened with such high expectations from audiences and network executives that they’re more concerned with being big and loud than being good. By the end of an exhausting Super Bowl game and halftime show, the last thing most people want to do is keep their brain turned on for one to two more hours of programming, even if they keep their televisions on in an act of sheer inertia. 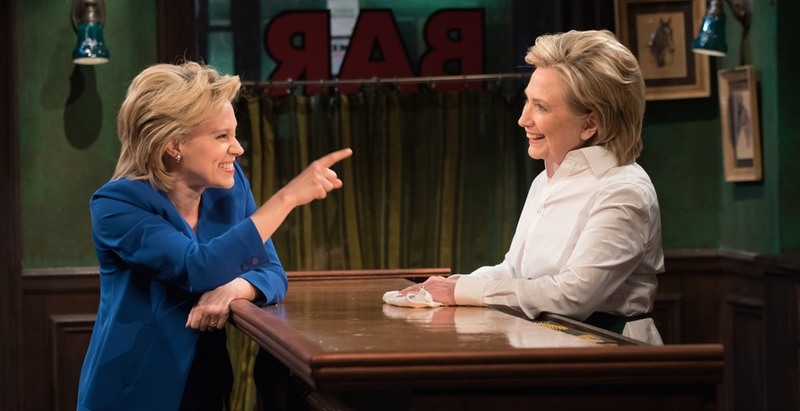 Here are six takeaways from last night’s season 41 premiere of Saturday Night Live. This Saturday Night Live premiere was never going to be a classic. Season premieres of Saturday Night Live often struggle, mostly because the show doesn’t operate on the schedule that people might assume. The show’s staff had the same number of weeks to write and prepare this week’s sketches as they do any other week: one. Much of what appeared to be sloppiness and laziness can be attributed to the gears on the SNL machine slowly shaking off the rust that accumulated over the summer.